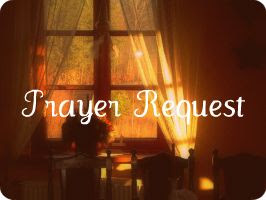 I am asking for your prayers tonight. A family I've grown to love is growing through a very hard time right now. They are a young couple who are going through a very ugly divorce, with four kids ages 6, 5, and 2 year old twins stuck in the middle. Temporary custody was given to the dad with standard visitation rights to mom. Yesterday evening dad asked mom over to visit, called her into the bedroom, and shot himself in the chest. All four of the kiddos were in the house at the time. So now mom has all four kids at a house she had moved into just a few days ago. She was unable to get back into the dad's house to gather clothes and such for the kids, since it's now a crime scene. So, here's mom with next to no furniture, just settling in and on her own for the first time, then pile on a very stressful situation and drop four kids into a house that is not prepared for them. It's been a very rough couple of days. So, I'm asking for prayers that the dad will pull through, for mom to be strong, and for these precious little children. The whole situation is so sad and has had me so emotional, I know that all I can do is turn it over to God. Please join me in lifting this family up in prayer. As of 8:00 tonight dad is listed in critical condition. Thanks Nessa! We are all praying dad comes through ok. I hope we hear more today. The ladies were thankful for the clothes they have so far and all the covers. I have one load of clothes still in the dryer. Let's also pray the first day back to school is not too hard on the oldest two children. I sent up prayers as soon as I read your post. What a horrible ordeal especially for kids that young. Please keep us updated on how the father is doing.